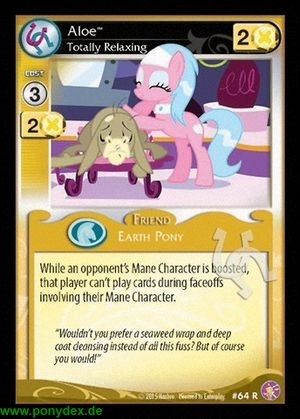 While an opponent's Mane Character is boosted, that player can't play cards during faceoffs involving their Mane Character. "Wouldn't you prefer a seaweed wrap and deep coat cleansing instead of all this fuss? But of course you would!"